Cheetah Mobile is the publisher of numerous system cleaning and task killer apps, which don't do any good, but get a lot of downloads anyway. According to Nanling Zheng, he and the entire QuickPic team are still responsible for the app. 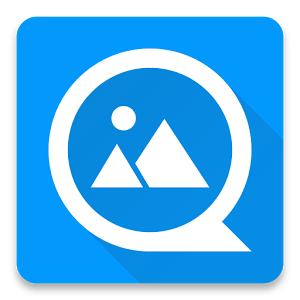 Everyone who was involved with making QuickPic awesome is still working on it, and the development schedule hasn't changed. The coming updates will not bring ads and a built-in task killer. He also promises the app won't start requesting wacky permissions, a la Cheetah Mobile. The language used in the post does seem to leave the door open to ads, though. Zheng says ads "won't be coming soon." Emphasis ours. Something is bound to happen, though. I doubt Cheetah Mobile would have purchased QuickPic unless there was some money in it. Zheng also makes the interesting claim that Cheetah Mobile "has contributed a lot to Android and fixed many issues that Google and many smartphone companies could not." Yeah, we're all scratching our heads on this one. If this were Wikipedia, I'd add a "citation needed" tag. This post will probably assuage some fears, but it's hard to trust Cheetah Mobile.